As a cool breeze ushers in daybreak, dramatic rock formations frame one of the most exclusive resorts in the American Southwest. 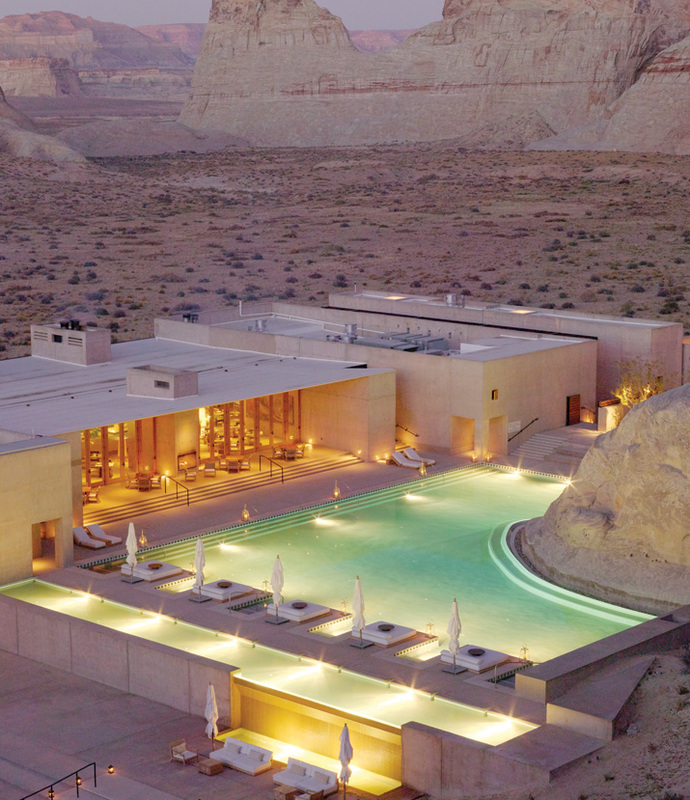 Hidden on 600 acres in Canyon Point, Utah, Amangiri sits at the end of a scenic, two-mile-long road that winds to a crescendo of anticipation. The long approach is ultimately rewarding. 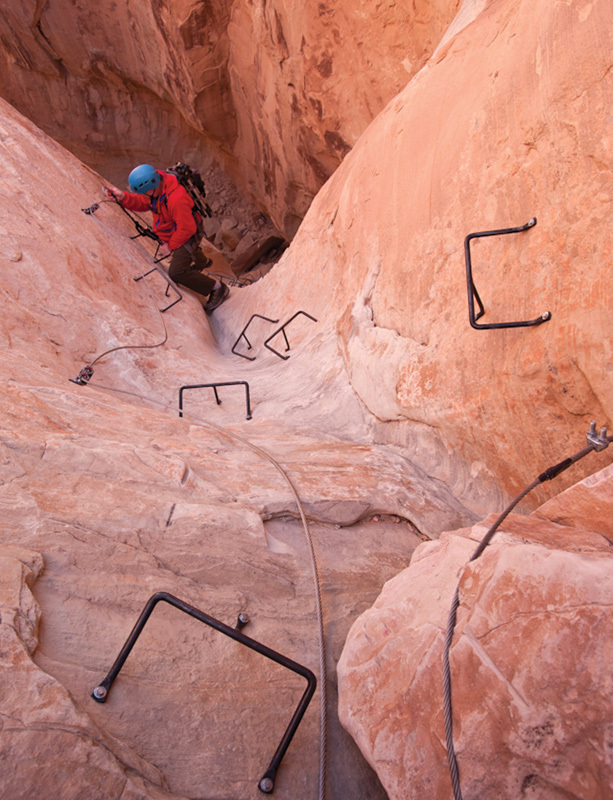 Entering the resort, narrow walkways mimic the feel of a slot canyon. The property blends in with the desert landscape, as to avoid competing for attention with the monumental nature that surrounds it. 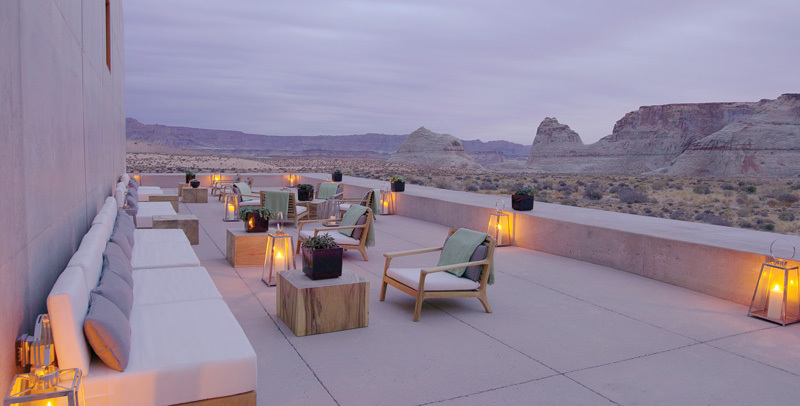 Known for its unparalleled focus on privacy and service, Amangiri is a peaceful haven for those looking to discreetly unplug and explore nature’s rugged beauty. 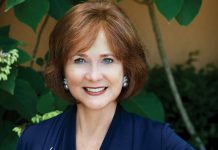 The property is ideally located in the Four Corners (where Colorado, Arizona, New Mexico and Utah meet), a region that has a rich concentration of national parks and monuments. Amangiri has only 34 suites, some featuring private pools and a sky terrace with an outdoor bed beckoning you to slumber beneath a sky full of stars. Each suite has a private courtyard entrance leading to a modern interior that includes an expansive combined bedroom and living area, writing desk and soaking tub with landscape views. 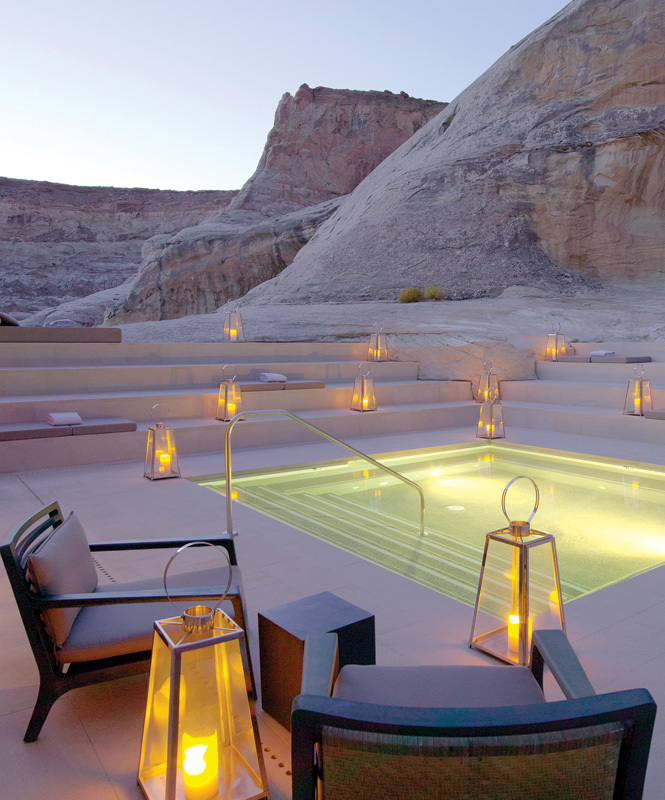 Amangiri is nirvana for high-spirited explorers. The resort can arrange a myriad of customized excursions, including scenic helicopter tours, private tours of nearby national parks, watersports activities and countless one-of-a-kind trail adventures. Two daily group hikes offer a taste of the property’s trail system, including a popular morning trek to Ulrike’s Cave that, along with a false mine shaft nearby, appeared in the 1996 film Broken Arrow, starring John Travolta. 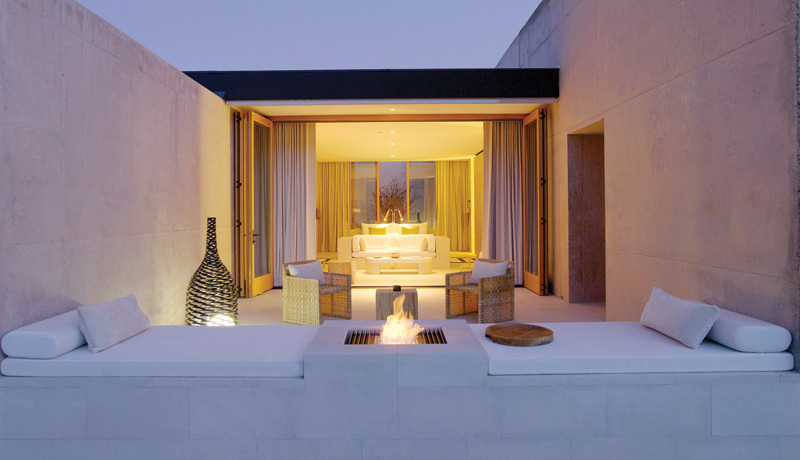 After a day on the trails, the 25,000-square-foot Aman Spa is the best way to get lost in pure indulgence. To truly decompress, the resort touts its Desert Dream experience, which combines a cranial-sacral massage (targeting the head, spinal column and sacrum) and flotation therapy to inspire a meditative state, then finishes with a relaxing aromatherapy massage. 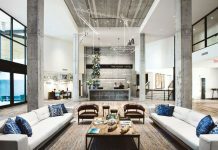 The facility also includes a yoga studio, expansive water pavilion and full-service gym. Once you’ve roused up an appetite, Amangiri’s executive chef, Shon Foster, is eager to anticipate your every culinary whim in the restaurant’s open kitchen, featuring regional new American cuisine that also pays homage to the Asian roots of Aman resorts, Amangiri’s parent company. Do not miss the mouth-watering dish simply titled “mushroom,” a delicious array of wood-fired foraged mushrooms, enveloped in rosemary espresso cheddar and herbs, and topped with a sunny-side up hen egg. 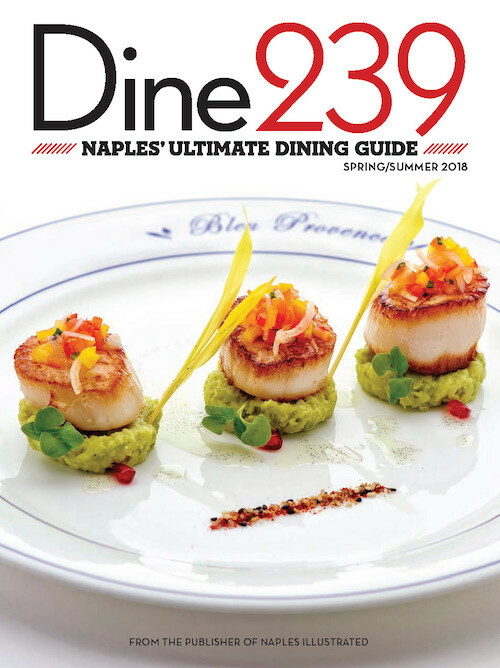 The dining experience is often interactive. At harvest time, guests are encouraged to pick fruit from the plum, apple and almond trees that dot the pathways to the suites. The pastry chef will cheerfully prepare a dessert with your bounty. The dining room offers sweeping views of the desert landscape, including the main swimming pool, which wraps around an enormous rock escarpment within a sunken courtyard. When returning to your suite, open the glass doors to the terrace, take in the sweeping views and marvel in the silence. It is so quiet here, you can hear your breath above the flickering flames from the private fireplace. Now that’s relaxation. 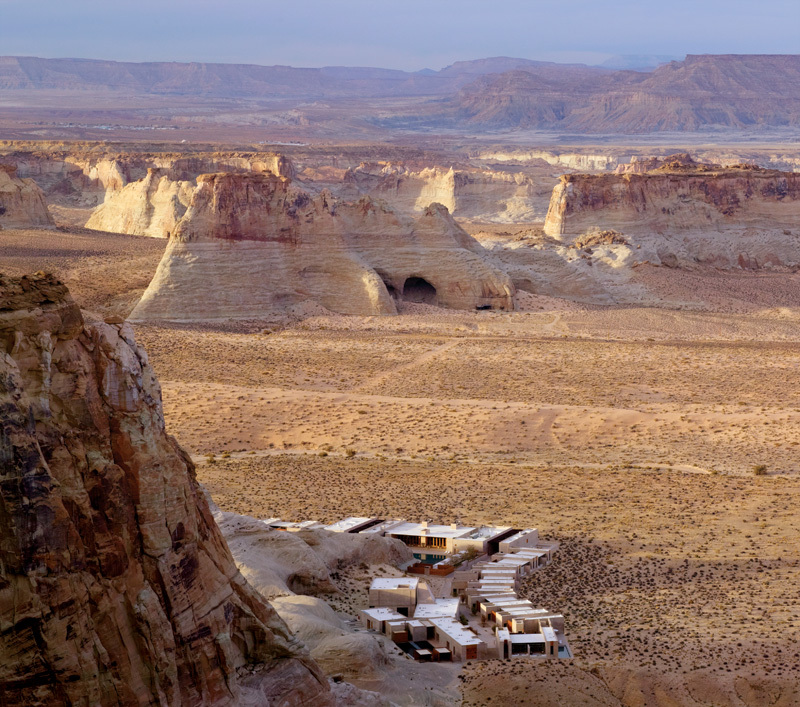 Amangiri offers countless private excursions for exploring canyon country and will custom-build an itinerary for all guests. 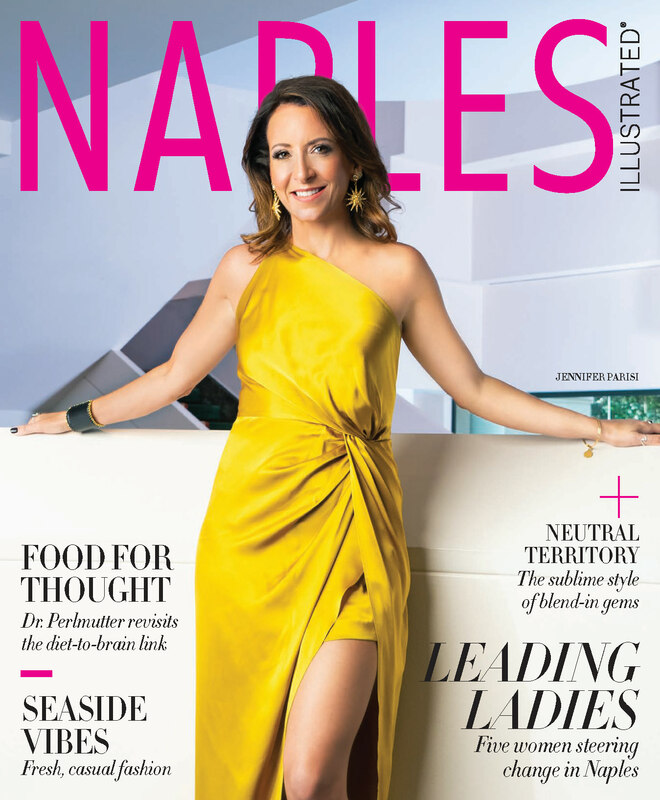 Here, we highlight a handful of the most celebrated activities, on and off the property, to satisfy the interests of nearly every traveler. Adventurous hikers … try the popular Hoodoo Via Ferrata guided hike that will take you high above the property’s Hoodoo Trail, offering stunning views of free-standing sandstone towers known as hoodoos. 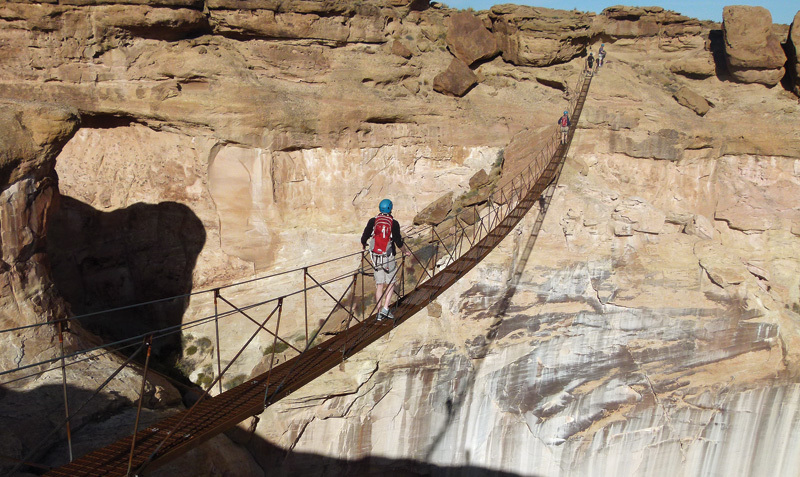 The most powerful part of the hike is crossing a 600-foot-deep gorge via the narrow 232-foot suspension bridge. Water-sports enthusiasts … explore nearby Lake Powell, the second-largest man-made reservoir that stretches nearly 2,000 miles and straddles Utah and Arizona with breathtaking slot canyons along the way. Venture on your own or take Amangiri’s private tour and enjoy the picturesque scene by boat, kayak or stand-up paddleboard. Archaeology buffs … dig for dinosaur bones at real fossil excavation sites, guided by a paleontologist. The exclusive tour includes three hours of exploration, plus a lesson in dinosaur history at the Paleontology Center in nearby Grand Staircase Escalante National Monument. Shutterbugs of all levels … must visit nearby Antelope Canyon, the most-photographed slot canyon in the American Southwest and just a half-hour drive off the property. The petrified sand dune on Navajo Nation offers a breathtaking spectrum of shapes and colors that change as shafts of light beam into the narrow pathways. There are several cash-only public tours available, or skip the crowds and take the resort’s luxury private excursion, which also includes a visit to Rattlesnake and Owl slot canyons. 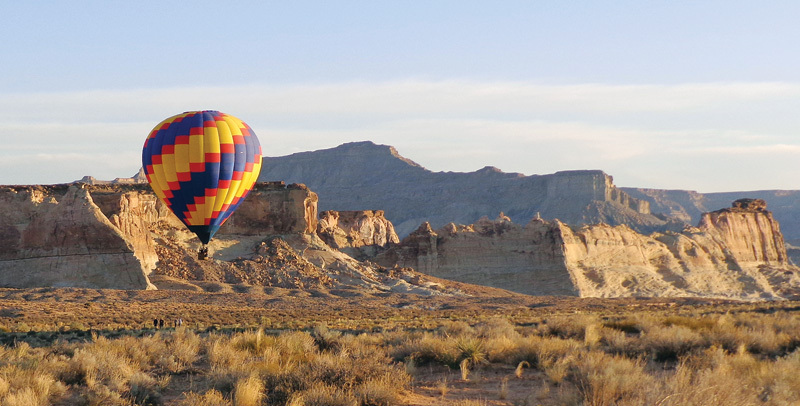 High-spirited explorers … take in a bird’s-eye view of the dramatic landscape in a hot-air balloon flight, which launches right from Amangiri. The spectacular scenery includes Lake Powell, Navajo Mountain, the Vermillion Cliffs and the Grand Staircase-Escalante National Monument.